Short and Long-Term Effects of Combined Oral Contraceptive (DUOFEM) on Some Physiological Parameters in Female Wistar Rats. Toryila J.E, Amadi K, Odeh S.A, Egesie U.G. : Human Physiology Department, Faculty of Medicine, ABU Zaria. Adelaiye A.B. Achie L.N: Human Physiology Department, Faculty of Medical Sciences Unijos. All correspondents to: Toryila J.E Human Physiology Department, Faculty of Medicine, ABU Zaria. BACKGROUND: Contraception is an important health issue in preventive medicine because it protects women globally from the effects of unwanted pregnancy and allows them to integrate into society. This research priority included efforts to discover the short and long term effect of combined oral contraceptive (DUOFEM) on some Physiological parameters and possible mechanism of actions in female wistar rats. Method: Eighty (80) female wistar rats aged 10-12 weeks weighing 180-250 g were used for the study. They were divided into four groups of 20 rats each comprising 10 treated and 10 control rats. The treated rats received 0.6mg/kg body weight of COC intragastically for 36, 48, 60 and 72 days in five-day cycles (four days treatment with one-day break. A haematology analyzer was used to perform a complete blood count (CBC or FBC) .An enzyme-linked immunosorbent assay (ELISA) was used for the quantitative determination of alkaline phosphate (ALP), aspartate aminotransferase (AST), alanine aminotransferase (ALT). Prothrombin time (PT) and Activated partial thromboplastin time (APTT) were performed using Sysmex CA-6000 Coagulation Analyzer. Liver function tests, Erythropoietin, interleukin-6 (IL-6) and interleukin-11 (IL-11) were determined using rat ELISA kit (Karmiya Biomedical company, USA). term used (72 days).Long term used of combined oral contraceptives may leads to more complications than short time use. Combined oral contraceptives users should be monitored for some Physiological parameters. KEY WORDS: Combined Oral Contraceptives, Physiological Parameters, Wistar rats.
. The World Health organization (WHO) and other global organizations are seeking ways to increase the amount of information and access people have to contraception and other resources related to family planning all round the world.
. There is little or no data on the effects of Combined Oral Contraceptives (DUOFEM) on Haematological parameters, especially the growth factors such as the cytokines or interlukin-11 and 6, and erythropoietin. Also little or no data have been established in PT, APTT and Liver Function Test using animal model. It is hoped that the result might throw some light on the need of monitoring coagulopathy in women taking these pills. The world population is now seven billion. Nigeria population is estimated to be 176 million and will reach 400 million by the year 2050 . Rapid population growths would have a detrimental effect on socioeconomic development of Nigeria. There is a concern over population explosion in Nigeria and the drive to control it is leading to indiscriminate used of oral contraceptives. Unintended pregnancy leads to induced abortion which is not legalized in Nigeria, except to save the woman`s life. This research priority included efforts to discover the short and long term effect of combined oral contraceptive (DUOFEM) on some Physiological parameters and possible mechanism of actions in female wistar rats.The knowledge might provide useful interventions towards solving the problem(s). Thus the safety in the contraceptives use and improvement in the health of the user are assured. DRUGS: The combined oral contraceptive used is DUEFEM®. They were obtained from family clinic, Ahmadu Bello University Teaching Hospital, Shika-Zaria, and from the Society for Family Health (SFH) Abuja, Nigeria. COCs DUOFEM® tablets which combined ethinyl estradiol and Norgestrel were manufactured by Wyeth Ayerst (USA) and packed and marketed by the Society for Family Health, Lagos, Nigeria. DUOFEM® is a child spacing pill containing ferrous fumarate tablets. Each DUOFEM cycle contains 28 pills; each white tablet contains 0.3mg Norgestrel and 0.03mg Ethinglestradiol and each brown tablet contains 75mg ferrous fumarate. DUOFEM® has a molecular weight of 312.4458g/mol . 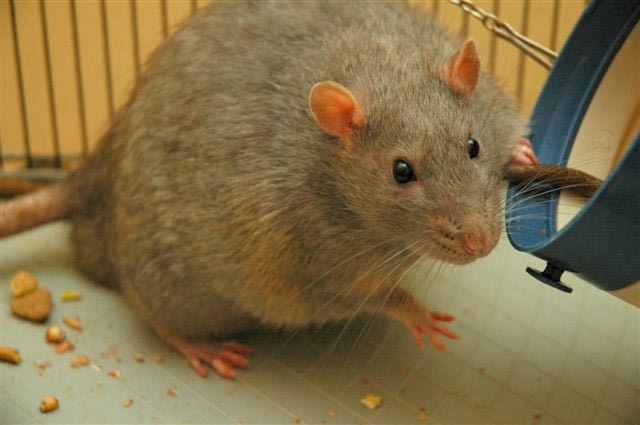 Eighty (80) female wistar rats aged 10-12 weeks weighing 180-250 g were used for the study. They were divided into four groups of 20 rats each comprising 10 treated and 10 control rats. The treated rats received 0.6mg/kg body weight of COC intragastically for 36, 48, 60 and 72 days in five-day cycles (four-days treatment with one-day break). The COC was given intragastically in 5-day cycles (4-day treatment with 1-day break). All controls were given fresh water ad libitum daily for the period of the experiment. Experimental animals in the study were treated in accordance with the National Protection Laws of Animal Welfare . Ethical clearance was obtained from the Ahmadu Bello University Animal Ethical Committee. Statistical Analysis: The result obtained from this study was analyzed using SPSS version 20 for windows. Analysis of Variance (ANOVA) was used to compare means, and values were compared at P < 0.05. Post Hoc multiple comparisons for significant differences between groups were established by Turkey’s HSD. All the data are expressed as Mean ± Standard Error of Mean (SEM). The lowest values of PT, IL-6 and Fibrinogen were observed in the treated group D (72 Days). In this study the effect of COC on haematological and biochemical parameters in female wistar rats were investigated. The result shows a reduction in haemoglobin(Hb), Packed cell volume(PCV), Red blood cell (RBC), White blood cell (WBC) counts and lymphocytes in all the groups that were given COC, compared to the controls in each group (P<0-05). The finding of lower Hb, PCV, RBC, WBC and Lymphocytes agrees with the finding of .The findings were however, contrary to that of other investigators like Bulur , Babatunde , Abdalla , who reported no changes in full blood count in women on COC. The least values of Hb, PCV and RBC were found in group D (72 days). It could be that the use of COC for a longer period may lead to anaemia. The finding of lower Hb, PCV and RBC counts in COC treated groups compared to controls may be as a result of the haemodilution effect of estrogen and the effect of estrogen on the cytokines like IL-11 and IL-6. The findings of lower values of WBC counts in COC treated groups suggest that the use of COC may alter immune response. The findings of lower WBC count in COC treated groups was in agreement with that of Sajida , and contrary to the findings of Surasak et al  who observed no changes in WBC count and that of Araz et al who observed increase in WBC count in COC treated female wistar rats. The difference may be as a result of the use of different COC with different concentration of estrogen and progesterone and the duration of use. There was no significant changes observed in COC treated groups in platelet counts compared to the controls. This finding agrees with that of Surasak et al. , Peter  Bulur et al  and Babatunde et al . In general, the use of COC in female wistar rats suppressed haemopoiesis in this study resulting in lowering of Hb, PCV, RBC and WBC counts. There was no significant change in serum erythropoietin level in all the controls. This finding is contrary to that of Prechile et al. who found that estradiol benzoate inhibited the production of erythropoietin (EPO). Erythropoietin promotes the survival, proliferation and differentiation of erythrocytic progenitors. It appears COC has little or no effect in EPO production. Decreased RBC count in this study may not be as a result of COC effect on EPO. There was decrease fibrinogen levels in all the COC treated groups compared to the control. This finding differs from that of Eliana et al  and Peter et al. who reported increase in fibrinogen level in women taking COC. The finding is also contrary to that of Akhigbe et al  who found no significant change in fibrinogen level in female wistar rats treated with COC. Fibrinogen functions as a messenger molecule that coordinates and regulates the body response to inflammation. The association between increase in plasma fibrinogen and thrombosis and the risk of myocardial infarction, atherosclerosis and other cardiovascular diseases are well established. Higher level of fibrinogen raises the risk of stroke  .Low fibrinogen levels is associated with low risk of cardiovascular diseases. Effect of COC on the liver as observed in this study may be the cause of decreased in fibrinogen level by a third generation COC (DUOFEM). Prothrombin Time (PT) significantly reduce in all the COC treated groups compare to the controls (P<0.001). There was no significant reduction in Activated Prothrombin Time (APTT). This finding agrees with that of Abdalla 13] ,in Sudan found significant reduction in PT and APTT in women taking COC. Babatunde  found that there was no significant change in the level of APTT in Nigerian women taking COC for three months. This is in agreement with the finding of this study. Also Eliana  found reduced PT and APTT in Albanian women taking COC. Reduction in prothrombin time may be as a result of reduced serum level of fibrinogen. Estrogen is also said to increase coagulation factors leading to decreased prothrombin time. The finding of this study is also in agreement with that of Ahmed  and Nasir  who reported a significant reduction in APTT and PT in women taking COC. The exogenous estrogen in the COC has been shown to accumulate in the liver stimulate the release of procoagulants (Factors II, VII and X) from the degenerating liver cells. Significant decreased in PT observed in this study is possible due to enhanced coagulation process as a result of increased plasma levels of coagulation factors of extrinsic pathway. system is in balance with the anticoagulant and fibrinolytic system . It is important to emphasize that a disturbance in normal hemostasis may result in thrombosis. This finding is in agreement with that of Soare  and John  who observed lower values of PC in women using oral contraceptives. Decreased AT, PC and PS may be responsible for the changes observed in haemostasis. AT, PC and PS are vitamin K-dependent. Effect of COC on the liver may be responsible for the reduction of serum level of AT, PC and PS in COC treated groups. There was a significant decrease in serum level of interleukin-6 (IL-6) and a slight decrease in serum interleukin-11 (IL-11). Estrogen is able to decrease IL-6 expression by blocking the estroblast’s synthesis of IL-6 receptors . IL-11 and IL-6 are haemopoiesis-promoting factors capable of enhancing the growth of myeloid, erythroid and megakaryocytic progenitor cells. They are capable of mediating a complex array of pro- and anti-inflammatory effects. Reduction in IL-11 and IL-6 may be responsible for decreased RBC, PCV, WBC and platelet counts in this study. IL-6 produces C – reactive protein (CRP) which leads to cardiovascular risk. Experimental studies have shown strong correlations between the risk of cardiovascular diseases and inflammatory markers such as CRP and tissue neurosis factor-a (TNF a) . IL-6 is a pleotropic cytokine which stimulates B-lymphocyte and T-lymphocyte differentiation, and activates macrophages and natural killer cells (NK). IL-6 promptly and transiently produced in response to infections and tissue injuries, contributes to host defense through the stimulation of acute phase responses, hematopoiesis, and immune reactions . The finding of reduced serum IL-6 and11 is in agreement with other finding  who reported decrease serum level of IL-6 and 11 in menopausal women taking hormonal replacement therapy. There were increased values of alkaline phosphate (ALP), Aspartate aminotransferase (AST) and Alanine aminotransferase (ALT) in all COC treated groups compared to controls (P<0.001). The liver plays a central role in the metabolism of estrogens and progesterones. COC acts directly or indirectly on the liver to produce a variety of biological effects which have both physiological and pathological significance . Higher levels of liver enzymes in the blood streams are prime indicators of liver damage. The use of COCs has been rarely associated with liver tumours, both benign (hepaticadeomas and nodular hyperplasia) and malignant (hepatocellular carcinoma). The finding of increased liver enzymes is in agreement with that of Dickerson  and contrary to that of Surasak  who found no changes in liver enzymes in women on COC. Raised serum level of ALP, AST and ALT in treated groups may be due to functional alterations involving the hepatic excretory mechanism. The effect of the COC (DUOFEM) on the liver may be the cause for haemostatic disorder, since PC, PS and AT were reduced. There was a significant increase in serum sodium level in group D (72 days, P<0.044) compared to the control. Potassium was significantly increased in groups C (60 days) and D (72 days). Sodium retention has been reported in women taking COC . The result in this study is contrary to that of Taneepanichskul  who reported no significant changes in electrolytes in women taking COC. Hypertension occasionally occurs in women receiving estrogen-progesterone combination for contraception. Estrogen raises the plasma level of rennin and increases the production rate of aldosterone which leads to water and sodium retention [31, 32] reported reduced potassium level and increased sodium level in female rats. There was no significant change in bicarbonate and chloride in treated groups compared to the controls. Body electrolyte balances are critical for normal cellular function and maintaining adequate blood and plasma volume and osmolality. This study confirms findings of previous studies which also reported an increased risk for venous thromboembolism with third generation COC. This research work has confirmed the effect of COC (DUOFEM) on haemopoiesis. There is a potential risk of long term immune suppression in female taking COC (Duofem). Estrogen has shown to have long term effect on liver cell which may affect liver enzymes production and functions. There is the tendency for COC to be used earlier in life and for longer period of time, the number of women entering the high risk group for venous thromboembolism and liver cell adenomas maybe on the increase. Therefore, we recommend that women on COC should be regularly monitored for Physiological parameters. I want to appreciate all staff of Haematology, Immunology, Chemical Pathology departments and Histopatology Dept. of ABUTH Zaria for their assistance in the analysis of the samples. Dr. Olayemi of Society for Family Health Abuja, for supplying the COC (DUOFEM) and all staff of Human Physiology Department, University of Jos. 1. World Health Organization (2009). Hormonal Contraception and Liver Disease. Contraception 80; 325 –326. 3. Vessy, M. P. (1995). Endometrial and ovarian cancer and oral contraceptives: Findings in a large cohort study. British Journal of Cancer 71, 1340-1342. 4. Rosing, J., and Tans, G. (1999). Effect of oral contraceptives on haemostasis and thrombosis. American Journal of Obstetrics and Gynecology 180(6), 375-197. 5. Margolis, K. L., Adami, H. O., Luo, J., Ye, W., and Weiderpass, E. (2007). A prospective study of oral contraceptive use and risk of myocardial infarction among Swedish women. Fertility and Sterility 88, 310-316..
7. Chitturi S, Farrell GC 2013). Adverse effects of hormones and hormone antagonists on the liver. In, Kaplowitz N, DeLeve LD, eds. Drug-induced liver disease. 3rd ed. Amsterdam: Elsevier, , pp. 605-20. (Review of hepatotoxicity of oral contraceptive steroids including cholestasis, vascular disorders, benign tumors and hepatocellular carcinoma). 8. Akinsanya M A, Adeniyi T T, Ajai GO, Oyedele MA (2010). Effect of Vitamin E and folic acid on some antioxidant activities of female wistar rats administered combined oral contraceptives. African journal of Biochemistry Research , 4 (10):pp 238-242. 10. Sajida, S. H., Al-Chalaby, S. M. T., and Amjad, F. A. (2006). Effect of oral contraceptive pills on haematological indices. Tikrit Medical Journal 12(1), 65-69. 11. Bulur, S., Albayrak, M., Bulur, S., Keskin, F., Köse, S.A., Aslantas, Y., Türker, Y., and Ozhan, H. (2012). Effect of combined oral contraceptive use on platelet volume in women at reproductive age. Clinical. Experimental. Obstetrics and Gynecology 39(3), 314-316. 12. Babatunde, A. S., and Olatunji, P. O. (2004). Short-term effect of oral contraceptive pills on some haemostatic parameters in healthy Nigerian women. Nigerian. Postgraduate Journal 11(4), 246-250. 13. Abdalla, T. M., Kordofani, A. A. Y., and Nimir, A. A. H. (2008). Haemostatic studies in Sudanese women on oral contraceptive pills. Khartoum Medical Journal 1(3), 116-118. 14. Surasak, T. (2007). Effect of a new oral contraceptive with drospirenone on vital signs, complete blood count, glucose, electrolytes, renal and liver function. Journal of Medical Association Thailand 90(3), 426-431. 16. Peter, U. O. (2013). Women use of oral contraceptives – does it have any effect on haematological parameters? Annals of the College of Medicine 33(1 & 2). 17. Prechile, C., Ira, A., Rappaport, L. F. S., Mario, C., and Albert, S. G. (1972). The role of Estrogen in the regulation of Erythropoietin. Endocrinology. Obstetrics and Gynecology 180(6), 5375-5382.renal and liver function. J Med Assoc Thai. ; 90: 426 – 31. 19. Akhigbe, R. E., Azeez, M. O., Ige, S. F., Oyeyipo, L. P., Ajao, F. O., and Alade A. O. (2008). Haematological effects of long-term administration of combined oral contraceptive in rats. International Journal of Pharmacology 4(5), 403-406..
20. Ahmed J. Al-Husaynee and Muna A. Kashmona (2007). Effect of combined oral contraceptive pills on some haemostatic parameters. Annals of the College of Medicine Mosul, 33(1 & 2): 66-69. 22. Karl, M., Bjorn, A., and Bjorn, D. (2008). Human activated protein C variants in a rat model of arterial thrombosis. Thrombosis Journal 6(16), 1477-1560..
23. Soare, A. M., and Popac (2010). Deficiencies of proteins C, S and antithrombin III and activated Protein C Resistance. Their involvement in the occurrence of Arterial thromobosis. Journal of Medical Life 3(4), 412-415. 25. Subhadeep, C., Olga, L., and Sandra, T. D. (2008). Estrogen is a modulator of vascular inflammation. IUBMB Life 60(6), 376-382. 26. Trussell, J. (2007). “Contraceptive Efficacy”. In Hatcher, Robert, A., et al. Contraceptive Technology (19th rev. ed.). New York: Ardent Media. 27. Dickerson J, Bressler R, Christian CD (1992). Liver function tests and low-dose estrogen oral contraceptives. Contraception; 22(6): 597-603. 30. Kang, J. H., Wiggs, J. L., Rosner, B. A., Hankinson, S. E., Abdrabou, W., and Fan, B. J. (2010). Endothelial nitric oxide synthase gene variants and primary open-angle glaucoma: Interactions with gender and postmenopausal hormone use. Investigation Ophthalmological Sciences 51, 971–979.